The Sport Club program offers participants the opportunity to get involved with a sport at a higher level than traditional intramural play. Clubs practice regularly and many compete against other University club teams. Many participate in conferences and compete for league and national championships. To find out about any club listed just contact the listed person. New clubs are being added all the time. If you're interested in seeing one started please come by the Intramural Office. If you are interested in starting or becoming part of a University of Louisville Sports Club, click here for more information. Aikido A martial art that practices disarming your opponent without inflicting physical harm. The club practices in the SRC on Tuesdays from 6:00 PM to 9:00 PM, Fridays from 6:00 PM to 9:00 PM, and Saturdays from 11:00 AM to 1:00 PM. Click here for more info. Badminton Instruction and practice in this fast paced game is given by Charles Norton, who was a badminton official at the 1996 Summer Olympic Games. The club practices in the SRC Gym on Friday evenings from 6:00pm to 9:00pm. Ballroom Dance aka "Dancing with the Cards" This instructional group consists of students learning many different styles of ballroom dance. Dances include many traditional as well as modern disciplines. Practices are held on Tuesday evenings from 7-10:00pm in the SRC Aerobics room. For more info on the Ballroom Dance Club click here. Baseball A competitive club team which competes against other local and regional universities. Future goals include joining a collegiate club conference and competing at the national level. For more information about the Baseball Club click here. Bowling (Men's and Women's) The Men's and Women's Bowling Clubs are both recreational and competitive clubs. The groups practice at Ten Pin Strike and Spare on Sunday evenings from 8:00pm - 10:00pm and competes on the weekends against other local and regional collegiate club teams. Fencing Instruction provided for all skill levels from beginner to olympic levels. The club participates in regional and national competitions and practices at SRC on Mondays from 7:30 PM to 10:00 PM, Wednesdays from 7:00 PM to 9:00 PM, and Saturdays from 11:00 AM to 1:00 PM. Field Hockey (Women's) A brand new competitive team club. The group is currently organizing with the future goal of competing against other local club teams. Currently the club practices on Tuesday evenings from 5:00 PM to 7:00 PM on the SRC Field. Golf The Golf Club is a new club looking to play competitive matches against other local university golf clubs. Practices are held on Thursday evenings from 8:00 PM to 11:00 PM in the SRC Golf Simulator room. Ice Hockey The Ice Hockey club competes with other club and amateur teams in the Midwest. Practices are held at Iceland Arena on Tuesdays and Thursdays from 9:15pm to 10:15pm. Click here for this years Ice Hockey Club schedule! JuJutsu Club This is a new club which provided professional instruction in traditional JuJutsu. The club meets on Sunday evenings in the SRC Mat Room from 5:00 PM to 7:00 PM. Kempo Karate This is a martial art that focuses on personal development with no competitions. The club practices at SRC on Monday and Thursday from 7:00 PM to 9:00 PM. Click here for more information. Lacrosse (Men's and Women's) This club is dedicated to promoting the recreational pursuit of Lacrosse at UofL, while competing regionally against other colleges and universities. The Men's club competes in the National Collegiate Lacrosse League. Men's practices are held at the SRC Field on Mondays and Wednesday from 7:00 PM to 9:00 PM. Women's practices are held on Mondays and Wednesdays from 9:00pm to 10:00pm and Sundays from 2:00pm to 3:30pm. Click here for more information! Rugby (Men's) The Rugby Club is a group that focuses on competitive Rugby in the local and regional area. Team meetings are held in the SRC Room 107 every Monday night at 5:00 PM. Practices are held at the SRC Field on Wednesdays and Fridays from 5:00 PM to 7:00 PM, and in Cherokee Park Tuesdays and Thursdays 5:00 PM to 7:00 PM, with home matches in Cherokee Park. Click here for more info! Running Club (Runners of Louisville) A club which pursues a mutual interest in running as a fitness, competitive, and social activity. Meetings are held Tuesdays at 6:00pm in the SRC Room 110. For more information click here. Soccer (Women's) Our newest team sport, the club is conducting practices with the goal of scheduling games in the future. Club practices are held on the SRC Field on Thursdays from 5:00 PM to 7:00 PM and Sundays from 7:00 PM to 8:00 PM. Sports Officials The Sports Officials Club of Louisville (SOL) brings together students who are employed by the Intramural Department to officiate major team sports. Members are also given officiating opportunities locally outside the University, as well as regional and national Extramural tournaments. Table Tennis The club meets in the Student Recreation Center upstairs courts on Friday evenings from 6-9pm. For more information check out the club's Facebook page here. Tabletop Gaming A new club promoting the growing trend of group tabletop boardgaming. The club meets on Friday afternoons from 1:00-5:00pm in the classroms in the Student Recreation Center. Click here for more information. Tennis Club The Tennis Club offers professional coaching and teams made up of different ability levels, which allows both inexperienced and experienced players to join and participate in a fun and comfortable environment. Practices are held at the Bass Rudd Tennis Center on Mondays and Wednesdays from 8:00 PM to 9:30 PM. Visit the club's Facebook page here. Ultimate Frisbee (Men's and Women's) Practices are held at the SRC Field on Tuesdays and Thursdays. The Men practice on Tuesdays from 7:00pm to 9:00pm and Thursdays from 9:00pm to 11:00pm. Women practice on Tuesdays frm 9:00pm to 11:00pm and Thursdays from 7:00pm to 9:00pm. For more information about the Ultimate Frisbee Club click here! Volleyball Club (Men's and Women's) Practices are held on the SAC Gym Monday-Thursday evenings, times TBA. For more information click here. The Sports Club Federation consists of one delegate from each of the currently recognized sports clubs. These delegates meet three times per semester do discuss current club issues and report on club activities. Sports Club membership is not limited to university students, faculty, and staff. Community members are allowed in all of our non-competitive clubs, at the discretion of the individual clubs. Club membership should never be more then 50% community members. Those community members must purchase a Sports Club Federation ID, at the cost of $27/semester, in order to gain entrance into club facilities. This ID is valid only during the times of scheduled club practices and does not allow the community member access to Intramural Sports facilities at any other times. This ID can be purchased in the Student Recreation Center Monday-Friday 8:00am - 5:00pm. Through the administration of club functions, the sports club program provides many opportunities for students to gain valuable experience in leadership development, collaboration skills, organizational skills, improved physical skill development and addition of lifetime sport skills. The club program also provides a very positive venue for students to become engaged with the university, promoting the development of a strong sense of community and ownership with the university. 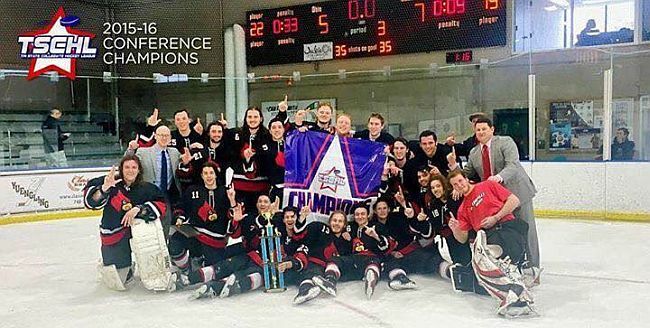 Sports clubs at the University of Louisville are governed by the Sport Club Federation, made up of one representative from each organization. The Federation is currently comprised of 20 clubs. New clubs are constantly being formed. If you have an interest in helping to form a club not listed here, contact David Rice, Sport Club Coordinator at 852-6707.